Travelling to this gig, there seemed to be posters for the latest "Fantastic Four" film everywhere. Little did I know I would be watching a Fantastic Five in the form of the B.J.E.s. Superb musicianship and showmanship were the orders of the day all night. Opera-trained Tony Pearce as the posing, pouting, prancing, evergreen pretty boy of pop-rock Jon Bon Jovi gave a stellar performance as the band's front-man. He held the stage and worked the crowd, classic song after song. 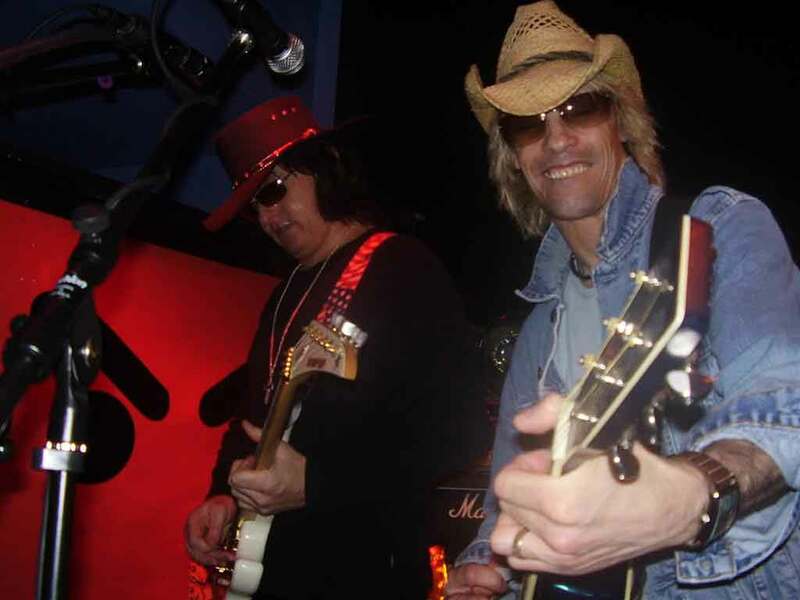 Edd Edmonds as riff-ripping axe-man Richie Sambora looked and played his part to the max with his trademark leather jacket and flat-rimmed cowboy hat. Jumping James Baker on keyboards, Tico Torres lookalikee sticksman Johnny (J.C.) Caroll and bassist Chris Poole supplied the diamond-solid backing for some of the most enduring songs in the soft-rock music bracket. Downtown Derby became New Jersey, U.S.A. for the night as the Experience took us on a 25 year long journey through the supergroup's back catalogue, keeping a packed 'Pot crowd on a musical high for the whole two hour set. We kept the faith. We lived on a prayer. We gave it a shot. And went out in a blaze of glory.